Juliana is a user experience and user interface designer, focused on the process of successfully building products. From market and user research, to wire framing, prototyping and final design. 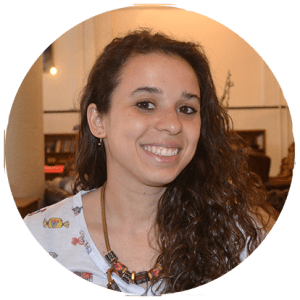 Juliana believes a good designer is capable of understanding what the user needs and translating that into a product/service the user wants. She’s a multi-disciplinary designer, whose designed award-winning mobile apps, dashboards, websites, marketing materials and furniture. Juliana has previously worked on design at Startupbootcamp and as assistant director on shoptime.com. Juliana holds a Bachelor of Industrial Design and Product Design and a Master’s degree in New Media and Digital culture. Within Shopper Concepts Juliana specialises in user research, user experience, store layout, visual strategy and design.